Description Bay 11-7821 is an inhibitor of E2 ubiquitin (Ub) conjugating enzyme and NF-κB. 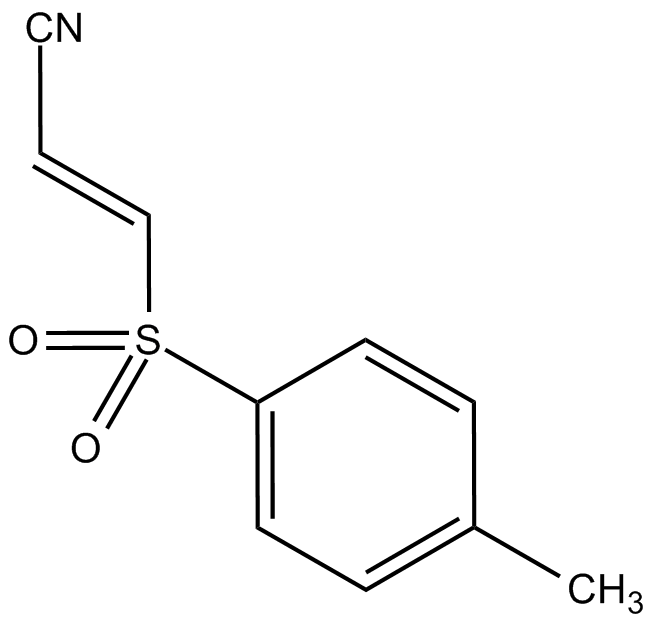 Bay 11-7821(Bay 11-7082) is an inhibitor of IKK with IC50 value of 10μM . Bay 11-7821 inhibits the TNFα-induced phosphorylation of IκB-α, results in an inhibition of NF-κB. This subsequently causes the inhibition of the TNFα-induced surface expression of E-selectin, VCAM-1, and ICAM-1. It is reported that, Bay 11-7821 does not inhibit entire TNFα-induced phosphorylation but selectively inhibits phosphorylation of IκB-α . Experiments show that Bay 11-7821 is highly toxic at concentrations of effective IKK inhibition. It can induce cell necrosis in MM cells. Additionally, Bay 11-7821 is proved to have an anti-inflammatory ability via inducing death of B-cell lymphoma and leukaemic T-cell. It is also reported to inhibit the NALP3 inflammasome in macrophages [2, 3]. Pierce JW, Schoenleber R, Jesmok G, Best J, Moore SA, Collins T, Gerritsen ME. Novel inhibitors of cytokine-induced IkappaBalpha phosphorylation and endothelial cell adhesion molecule expression show anti-inflammatory effects in vivo. J Biol Chem. 1997 Aug 22;272(34):21096-103. Rauert-Wunderlich H1, Siegmund D, Maier E, Giner T, Bargou RC, Wajant H, Stühmer T. The IKK inhibitor Bay 11-7082 induces cell death independent from inhibition of activation of NFκB transcription factors. PLoS One. 2013;8(3):e59292. 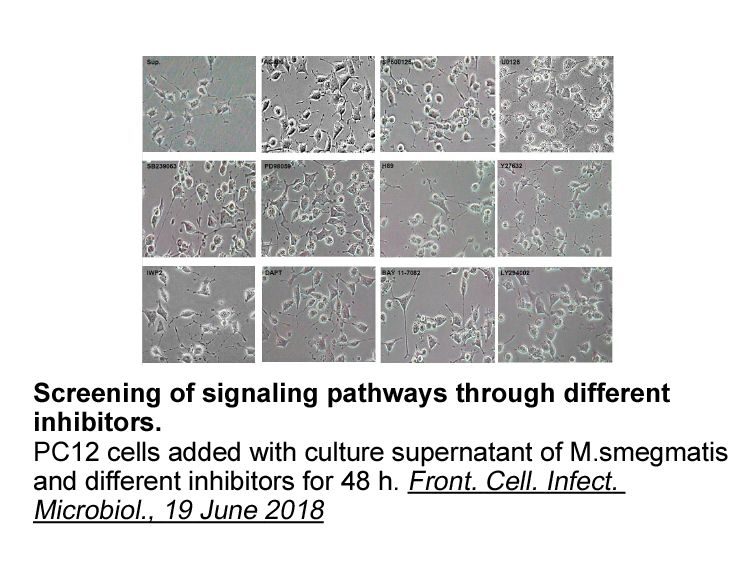 Strickson S1, Campbell DG, Emmerich CH, Knebel A, Plater L, Ritorto MS, Shpiro N, Cohen P. The anti-inflammatory drug BAY 11-7082 suppresses the MyD88-dependent signalling network by targeting the ubiquitin system. Biochem J. 2013 May 1;451(3):427-37.